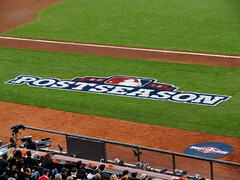 Boston and St. Louis will begin play in the 2013 World Series on Wednesday. For the Cardinals, this will be their fourth World Series appearance since 2000; the Red Sox are playing in their third World Series this century. Both teams won their respective LCS by winning the sixth game in the series. It was probably a good thing those LCS series didn’t go to a deciding seventh game… since 1985 when MLB went to a seven-game series in the league championship series, the Cardinals and Red Sox have lost the most LCS or World Series seventh games. The Cards have lost four Game Sevens since 1985: the 1985 World Series, 1987 World Series, 1996 NLCS and 2012 NLCS. The Red Sox have lost three Game Sevens since ’85: 1986 World Series, 2003 ALCS and 2008 ALCS. There have been 23 Game Sevens played in the World Series, ALCS and NLCS since 1985. Following are the teams that have lost one or more Game Sevens since that year.